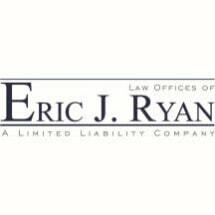 I am attorney Eric Ryan, and I established my law firm in Geneva, Illinois, in order to deliver the highest level of legal assistance and support to business owners, managers and executives, as well as to individuals and families, facing tough and complex legal challenges. Backed by more than 16 years of legal experience, I have achieved notable success representing the rights and entitlements of hundreds of clients across the region, and I remain active in my legal community to stay abreast of the latest changes to the law and deliver the most up-to-date, effective legal counsel possible. Regardless of the circumstances surrounding your case or the complexities involved, you can trust the Law Offices of Eric J. Ryan, LLC, to help you protect your interests while delivering solid, customized solutions tailored to your specific needs and goals. For more information, you can contact my law office or visit my website to schedule an appointment for a free initial consultation.